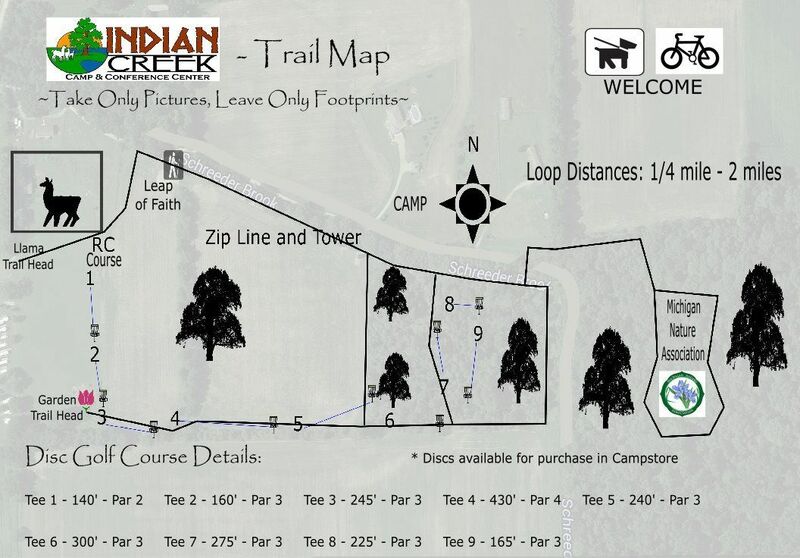 Our nature trail system attaches to the Michigan Nature Association area to allow for multiple paths you can explore up to 2 miles looping back to the campground. Dogs on leashes and bicycles are welcome on all trails. Please remember to bring along doggie bags and dispose of all trash appropriately. Our property is home to many animals, you never know when you might see a fox or deer. Watch for animal tracks, birds, butterflies and wildflowers native to our area. Even the elusive morel is known to hide in our woods! Take pictures and share them with us on facebook. Geocache is also located on the property, bring your GPS unit or borrow one from the camp office.